Recently there has been a proliferation of wildlife selfies being posted on social media sites, with Instagram alone reporting an increase of 300%. And thankfully, there has been a huge response from the global community on the harm these selfies impose on wildlife. We get that some people just don’t realize that taking selfies with wildlife is simply not only harmful but unethical. A recent video uncovered by the investigative work of “World Animal Protection” tells a horrific story. Trees are being chopped down and sloths are being ripped out of trees and are passed around from tourist to tourist as if they were a toy. These sloths are wild animals and show all the signs of being in stress when taken from their environment. An average tourist thinks that the sloths outstretched arms are a sign of the sloths posing when in fact it means they are in high stress mode. 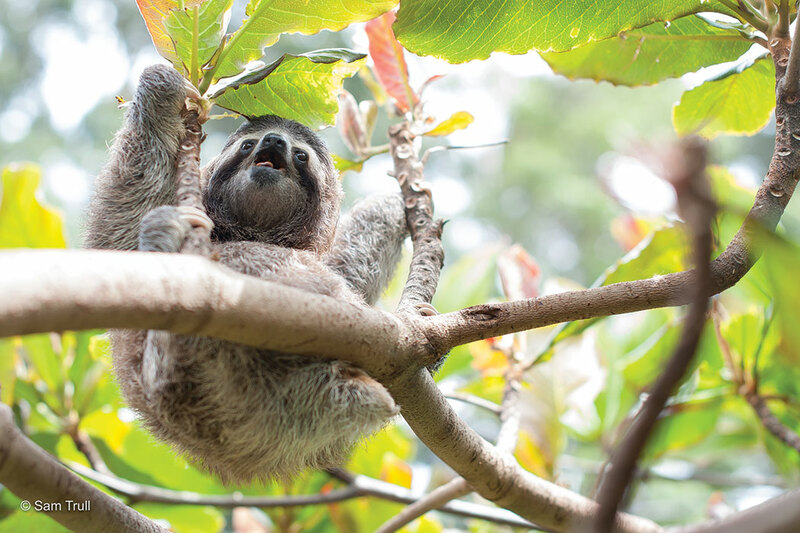 One of the main tenants—of The Sloth Institute is to improve the welfare of sloths. Providing proper enrichment and wild foods are a great way to improve the lives of captive sloths on their journey through rehabilitation. But ultimately, there is no greater way to enhance a sloth’s welfare (or really any creature’s welfare) than by giving them their freedom. As humans, we are sometimes so arrogant to assume that other creatures aren’t smart enough or aware enough to have desires beyond being well fed and safe but in reality the ability to make your own decisions creates feelings of relief that pass species boundaries. From a scientific perspective, the assets of freedom can be explained by detailing the benefits of a life in their natural environment. For example, with sloths it is stressful to not live in a habitat where they can climb high and find adequate hiding locations. This behavioral desire can be explained by a need to avoid predators and find shelter in a storm, but what if it also just ‘feels right’? What if they have an ‘unexplainable’ urge to make decisions for themselves and there’s no scientific proof to make it valid? What is curiosity and why do so many creatures have this drive to explore? 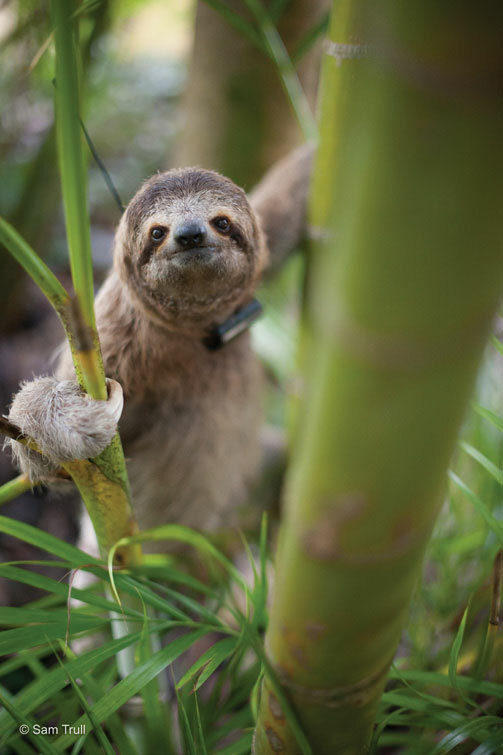 Sloths are curious and enjoy exploration and only freedom in a natural jungle environment can satisfy those needs. After living in Costa Rica and working for The Sloth Institute for over a year and a half now there is nowhere else I would like to be. Even after living in a tent, braving the weather, the long hours and lack of sleep for this long I do not want to go back home just yet! I graduated with my zoology degree in 2015 and was thankfully accepted to become a volunteer research technician with The Sloth Institute (TSI). I went into the job without any prior knowledge about sloths, but now I have completely fallen in love with them!! Throughout my time with TSI there have been many highs and lows, that unfortunately just comes hand in hand when working with animals. One of my most recent highs was when we successfully reunited a baby three fingered sloth back with its mother. After a local guide contacted us about the sloth we rushed over to help and after we made sure the baby was in no immediate danger we waited. We moved as far back from the baby as we could and were completely silent. The baby started to cry for its mother and after some time the mother appeared high up and started to move towards her baby. She climbed down the tree until finally she reached her baby and they were reunited. Moments like these are the main reasons why I am still out here in Costa Rica!! Baby Sloth and Mom re-unite, a happy ending and beginning! Whenever one year ends and another one begins we tend to reflect upon the past year’s achievements and make goals for the future. However, rather than go through a laundry list of our triumphs and failures from 2016, I would like to focus on the present and share a simple story. A few weeks ago we received a phone call from a nearby hotel, a mom and baby sloth had fallen and the mom shot back up the tree leaving her tiny baby behind! I asked them to please leave the baby where it was and stay with it to keep it safe until we arrived. Minutes later at the scene of the fall, we witnessed a TINY baby three-fingered sloth about half-way up a tree dangling from a thin branch. It would every once in a while utter a very soft and pitiful cry, but mom was nowhere in sight. At this point I asked to borrow a ladder and had it set up in the tree just in case we needed to grab the baby and then I asked everyone to please leave. This tree was already adjacent to a busy road and with all of the earlier commotion; if we were going to have any chance of reuniting mom and the baby sloth we needed there to be no audience. It’s that time of the year when we experience the height of tourist season who come from all over the world visit Costa Rica for it’s amazing scenery (beaches, volcanoes, cloud forests) and for it’s amazing wildlife. The variety of gorgeous mammal species are usually a highlight for anyone’s to do list; but both species of Costa Rican sloths are almost always at the very top and many times people will plan their trip around the opportunity to see one of earth’s most fascinating creatures up close. 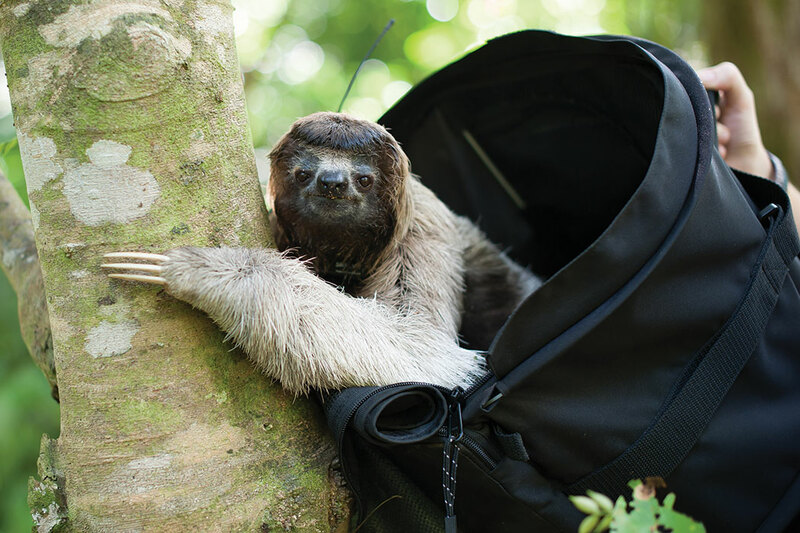 We often get questions on the best way to see sloths while in Costa Rica. 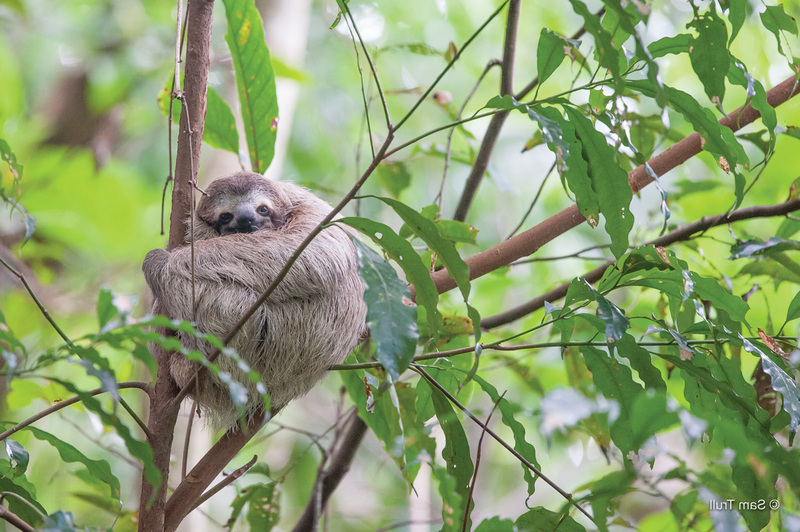 Besides taking a guided tour through a National park or visiting a responsible animal rescue center, we also know that people will come across sloths (and other wildlife) spontaneously. This is often the most exciting way to see a wild animal but there are a few things you need to remember to keep your vacation responsible and guilt free. Here are 7 tips on how to be a responsible sloth tourist. A question I get asked often is “Are sloths endangered?”. While the sloths of Costa Rica may not be categorized as endangered but they are still very much IN danger. Every day critical habitat is destroyed and sloths are injured by human encroachment. They can’t run across roads, jump through gaps in the forest or fend off dogs. In addition, underlying diseases and abilities to adjust to an ever changing world go un-detected without targeted research initiatives. There are active steps we can take towards creating a safer, healthier and happier future for wild sloths in Costa Rica. But first we need to learn, what makes a healthy sloth? What factors affect the health of individual sloths and sloth populations? 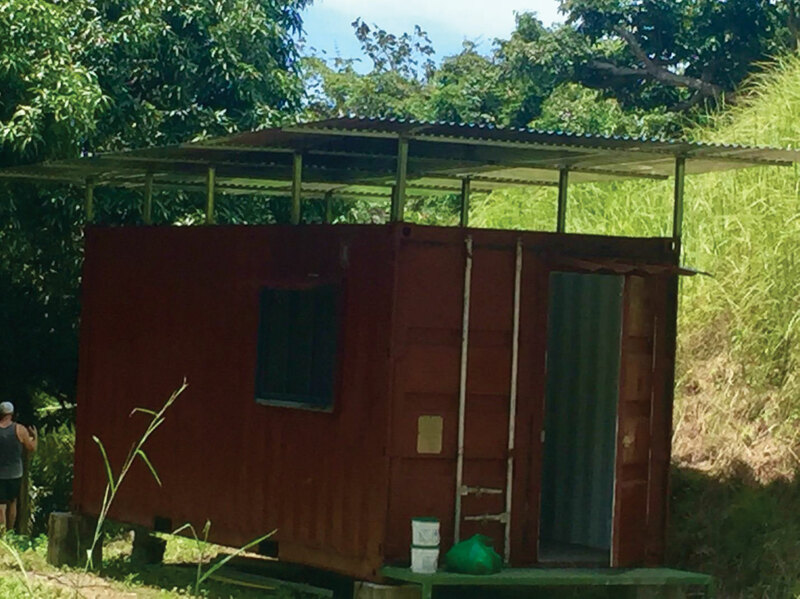 In order to truly tackle these questions, through the generous donation of Dave Houck of Tulemar and our GoFundMe donors, we recently completed the build of Monster’s WiSH (Wild Sloth Health) lab. An adult female wild 3-toed sloth eating near the soft release site. Sometimes people ask us why and how we release orphaned sloths and why are they orphaned in the first place. We believe sloths deserve a second chance to be wild and that preventing harm to wild sloths from human encroachment is a priority. Here is our philosophy on this very important subject. Why release? How do we know that they are ‘fit’ to live in the wild again? How do we know they deserve to live in the wild and weren’t rejected from their mothers for a reason? Are we playing god? We aren’t playing god and we aren’t changing the natural evolutionary process that sloths have mastered over millions of years. Sloths require rescuing, in the first place, because of human encroachment on their natural habitat. Our goal is to right the wrongs that have been placed upon these wild populations. In Manuel Antonio we have witnessed, on many occasions, human disturbances causing separation from mom. Loud noises from a chain saw that cause mom to retreat to a part of the tree that baby can’t follow; tree trimming while a mom and baby duo were in the tree that caused baby to fall; dog attacking mother but baby surviving. These are just a few of the obvious reasons babies can be separated from their mothers. But there are also less obvious factors from the change in the availability of natural resource, all caused from human encroachment to their environment. It may sometimes be natural for mothers to abandon babies but those unfortunate creatures who are born with lethal defects are more likely to not survive being rescued nor are they likely to survive the rehab process. The rehab process is not easy and it’s not a guarantee of survival. Sloths still need to be relatively ‘fit’ in order to successfully conquer the hardships of captivity. When I was an elementary school child, I used to plant acorns. One by one I would dig out little tiny holes in the ground, drop in the acorn, cover them up and keep them watered. I would check on them every day. When they first started sprouting I was SO proud. As they continued to get a little bigger I kept an obsessive watch. I would play near them every afternoon just to be with them. In fact, I remember taking my little tiny toy cars (no gender stereotypes here!) outside and I would drive them around the small saplings as if they were giant redwoods. I knew those skinny little green beings would grow up to be big tall trees one day. I remember thinking that I would need to replant them somewhere with more space once they were big enough…I used to daydream about the spots were they would eventually live. They deserved lots of room for their leaves, roots and eventually…their own little acorns. I visualized the birds that would perch on their branches, the woodpeckers that would pound on their trunks. Even at that very young age I understood the value of a tree.